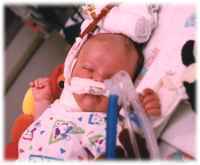 When I was in my early forties, my wife and I had a baby girl who was born with a rare condition known as a congenital diaphragmatic hernia. Our daughter Allison did not survive. We didn’t know what led to her birth defect. We lived in an area that had a high incidence of infants born with birth defects. We also learned that we lived near a creek that had been used as a toxic dumping site by Chemical giant Mallinckrodt. Was there a connection to toxic dumping? We may never know the answer, but after reading this book I suspect that the answer is yes. Author Dan Fagin’s Toms River is a fascinating look at pollution and the negative effects on the health of those exposed to that pollution through the air and water. Fagin’s book is an exhaustive, detailed account of the study of cancer clusters and their connection to toxic dumping. The amount of toxic dumping done by the chemical plant at the center of this story is staggering. At first, they simply dumped their toxic waste directly into the river. When the river started to show signs of the dumping, they resorted to storing the waste on their property where it seeped through the soil and polluted an underground aquifer. That polluted water then found it’s way into the drinking water of nearby residents. They also burned toxic waste which was then vented directly into the atmosphere, further polluting the environment for those who lived downwind. When residents complained, they built a pipeline that allowed them to dump their toxic waste directly into the ocean. Not only was there a high incidence of cancer among the workers at this plant, but there was a growing number of cancers affecting nearby residents and their children. A lack of oversight by local authorities allowed the dangerous practices to continue unabated. No one wanted to jeopardize the jobs that the plant provided. This book shows what happens when the government both locally and nationally are derelict in their duty. It also shows that regulations preventing this type of environmental abuse are absolutely necessary. Attempts to roll back environmental regulations will lead to more deaths. Is any job worth more than a life? The story of Toms River has many twists and turns. While it would have been nice to draw a direct line from the cancer cluster back to the polluters, that proves to be a difficult task. In the end, no one is held accountable. The polluters have moved on and now continue to pollute less regulated parts of the world such as India and China. Educate yourself. Read this book and recommend it to anyone in a position to hold polluters accountable.